The Royal Express Sr. is a HUGELY popular amusement ride. It’s a very versatile machine & is a proven crowd pleaser everywhere it is presented. The P.A. Music System & LED Lighting make the Royal Express stand out even more during night. 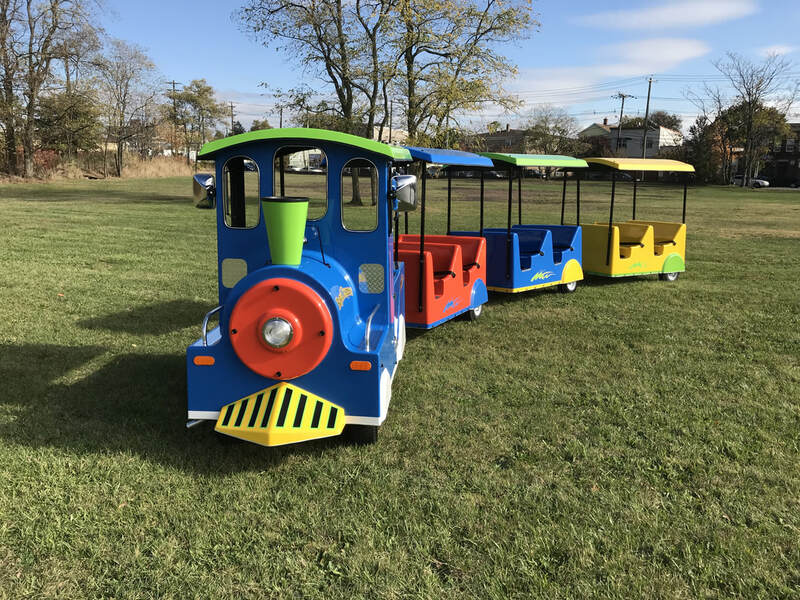 ​This train can carry 18 children or 12 adults per ride cycle, or a combination or the two.